Synonyms: Thiocarbonyl chloride; Carbonothioic dichloride, Carbonothioyl dichloride, Dichlorothiocarbonyl, T.C.C., T.P. - Shall have high conductivity , improves earth absorbing power and humidity retention capability. - Shall be non-corrosive in nature having low water solubility but highly hygroscopic. 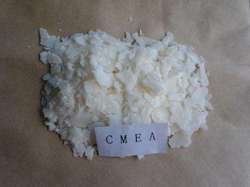 PTA (Purified Terephthalic Acid) is predominantly used as a raw material in manufacture of Polyester Staple Fibres, Polyester Filament Yarns and Polyethylene Terepthalate in conjunction with Mono Ethylene Glycol (MEG). PTA also finds use in small quantities in the manufacture of paints, etc. Boiling Point: 228 Deg. Cel.